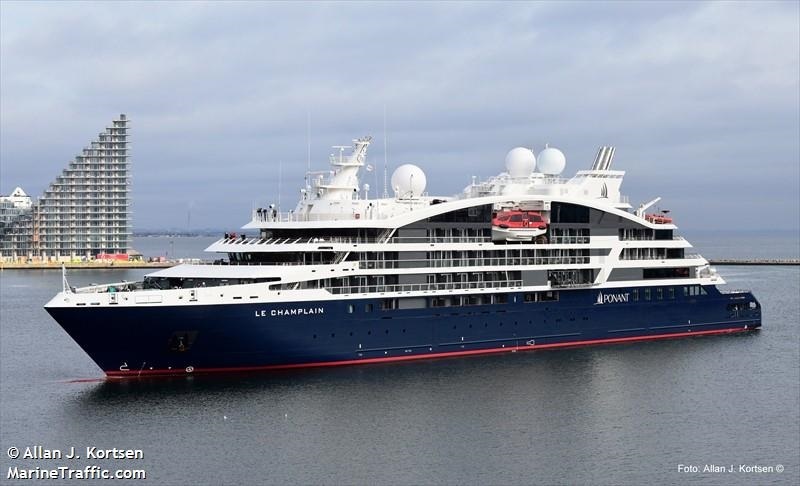 Le Champlain, the second ship of the Explorer class, sets sail in September 2018 with seven-night inaugural voyages in the Mediterranean (Civitavecchia to Valletta; Valletta to Marseille; Marseille to Malaga; and new itinerary, Valletta round trip). Le Laperouse, the first of the new-builds, has an inaugural sail date of June 2018, while Le Bougainville and Le Kerguelen will launch in summer 2019. Each of the six Explorer-class ships will share common features across five passenger decks, including a reinforced hull for polar exploration, stabilizers for a smooth sail, a fleet of Zodiacs for excursions and transfers, an infinity pool, an aft marina for sunbathing and water sports, and a theater. 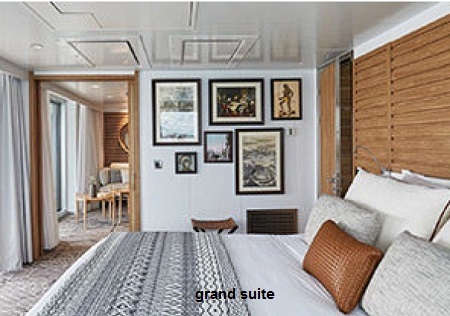 Each ship will comprise 88 balcony cabins and four suites with bay windows and expansive private terraces. The water sports platform will allow for swimming right from the ship as well as kayaking and paddleboarding. The unique infinity pool features a counter-current swimming system and transparent wall so anyone lounging on the marina deck will be able to see you. 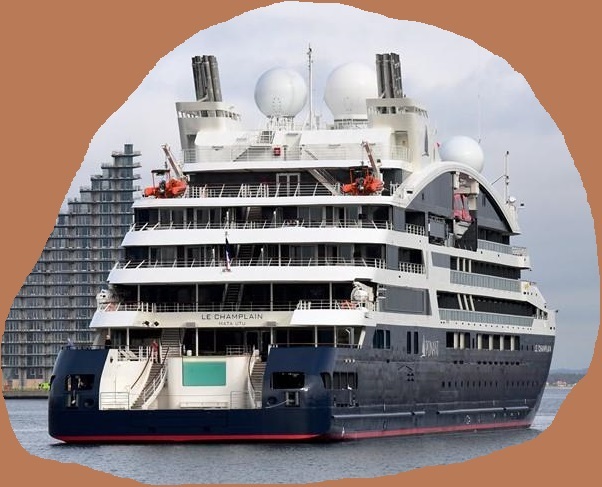 A unique feature on all six of Ponant's Explorer-class ships will be the Blue Eye Lounge. Built into the hull beneath the water line, the Blue Eye Lounge has two giant windows for viewing marine viewing, as well as digital screens projecting live images filmed by three underwater cameras. 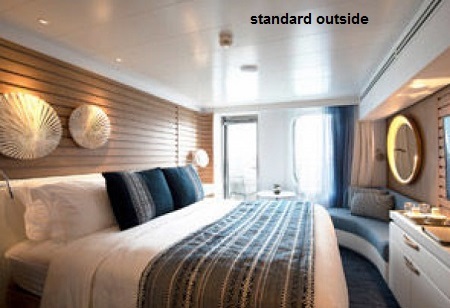 Sounds of marine animals (whales, dolphins, fish) will be piped into the lounge via specially developed hydrophones, integrated beneath the ship’s keel, which can capture noises up to five kilometres away. These sounds can also be felt through your body by sitting in sofas that vibrate in unison. 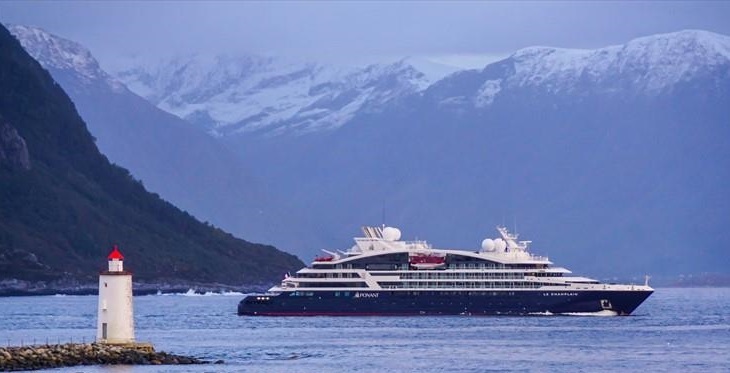 As part of Ponant's investment in growing its fleet of expedition ships that are tough enough to brave the elements in the Polar Regions, Le Champlain will be the second ship in the line's six-ship Explorers Class. 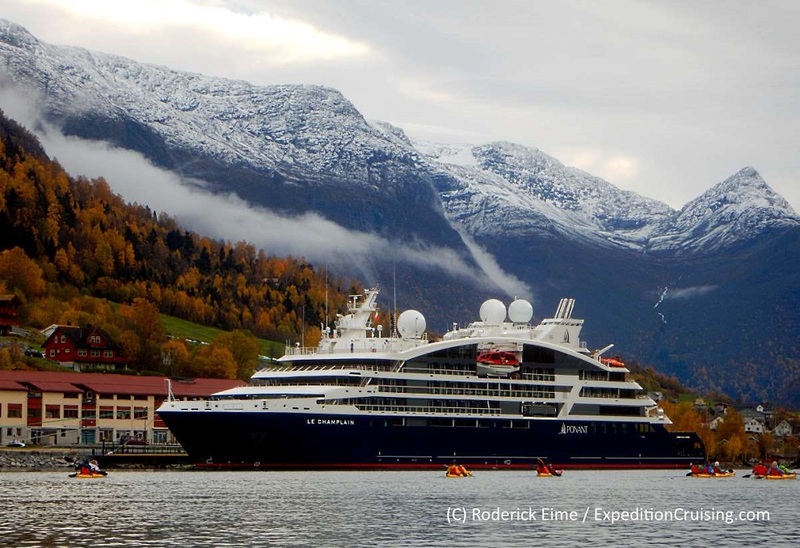 Measuring just 131 m., each ship will feature 92 cabins and suites with a crew complement of 110. Each ship pays homage to a famous French explorer; namely, Jean-Francois de La Perouse, Samuel de Champlain, Louis-Antoine de Bougainville and Le Dumont-d’Urville. Sailing expert Olivier de Kersauson -- who's won awards for the fastest circumnavigation of the world via yacht and has sailed around Cape Horn seven times -- is special adviser for the design of the new ships. 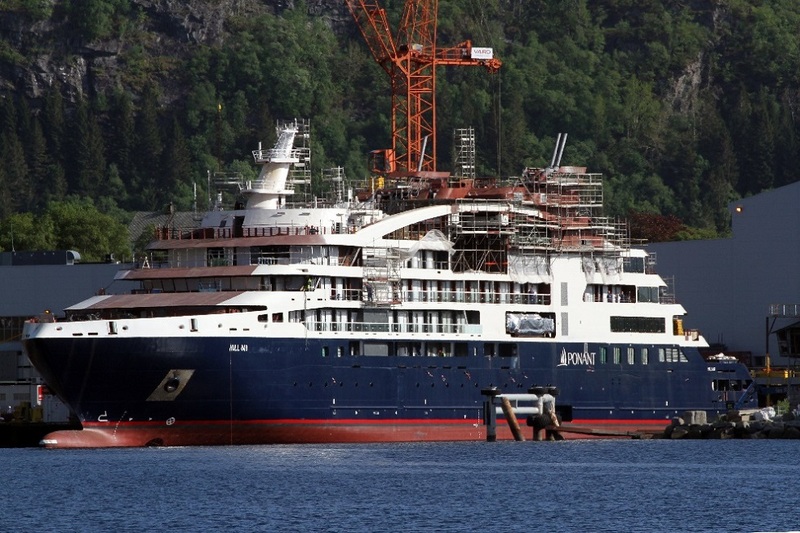 Norwegian company Vard Holdings Limited, of which Fincantieri owns a stake, is building the vessels.